Parsons Containers were established in 2000 in Sedgefield, Co.Durham by two directors who both have long experience in the container business in supplying containers for shipping and freight as well as for storage and accommodation. 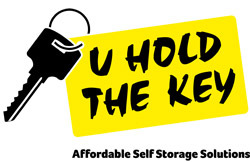 In 2001 U Hold The Key Self Storage was added to the business as one of the first container self storage businesses in the UK and has since grown to have ten sites and a thousand stores, mainly in the North East of England and also alongside the A1 near Grantham. As web purchasing grew in popularity in 2007 the company set up a web trading business ContainerContainer to reach national markets with container supply. Parsons Containers have developed a reputation for service across all of the company’s brands and repeat business is at the centre of the growth of the company. 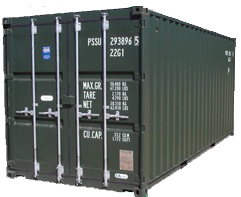 By adapting a can-do attitude Parsons Containers have established themselves a niche for container conversions. Over the years the company have developed the skills and expertise to modify and adapt containers for most applications. The process begins by agreeing a specification with the client and then bringing the application to life. Most conversion projects are unique and many provide individual solutions which add value for the customer. Applications include accommodation, workshops, control rooms, plant rooms, stores, retail food outlets, paint stores, lookouts and many more.